Description: The stainless steel pipes on the Atlantis, a British Petroleum oil and gas production platform in the Gulf of Mexico, developed pinhole leaks just a few years into operation. Offshore platforms are treated as marine vessels with marine regulations and any fixes had to meet all approvals under international marine environmental regulations. TDT Plumbing used ACE Duraflo’s patented ePIPE system to restore the potable water system on the platform with pipes ranging in size from 1/2″ to 3″ in diameter. The stainless steel pipes on the Atlantis, a British Petroleum Gas & Oil production platform in the Gulf of Mexico, developed pinhole leaks just a few years into operation. 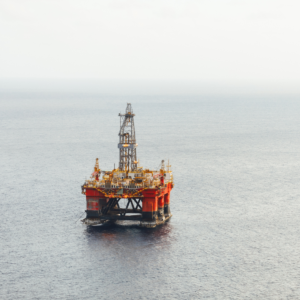 Offshore platforms are treated as marine vessels with marine regulations and any fixes had to meet all approvals under international marine environmental regulations. BP, Granherne and Mustang Engineering worked with the offshore division to develop a restoration plan to allow for full operation of the platform of over 100 people on board with no downtime. They contracted with TDT Plumbing to use ACE Duraflo’s patented ePIPE system to restore the potable water system on the offshore platform with pipes ranging in size from 1/2″ to 3″ in diameter. The project took two crews less than 3 months to complete. The patented ePIPE system assisted BP in solving their problem while meeting environmental regulations. Why TDT for Offshore Plumbing Needs?